flexion at the elbow. 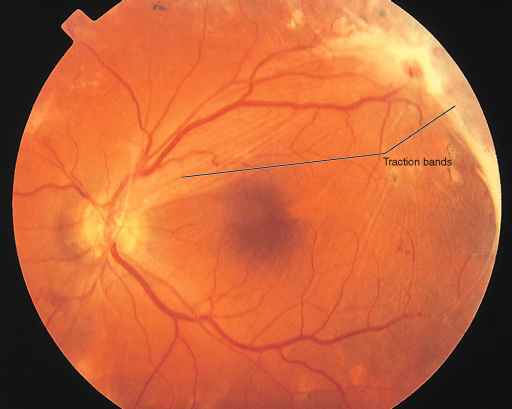 The examiner may also palpate the contraction of the muscle. This procedure is a test of the nerves at roots C5 to C6. The brachioradialis tendon reflex is performed by having the patient's forearm in semiflexion and semipronation. The arm should be rested on the patient's knee. 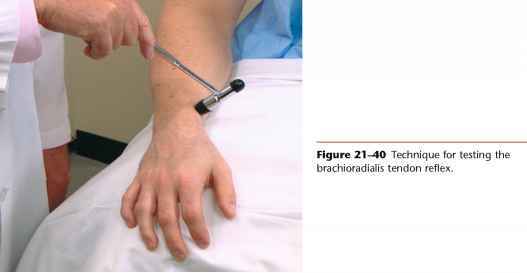 If a triangular reflex hammer is used, the wide end should strike the styloid process of the radius about 2.5 to 5 cm above the wrist. 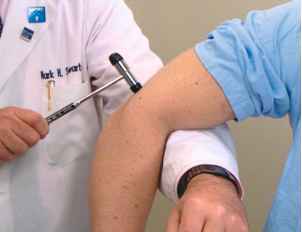 The examiner should observe for flexion at the elbow and simultaneous supination of the forearm. The position is demonstrated in Figure 21-40. This procedure is a test of the nerves at roots C5 to C6. 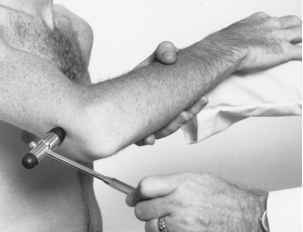 Figure 21-41 Technique for testing the triceps tendon reflex. Figure 21-42 Another test of the triceps tendon reflex.